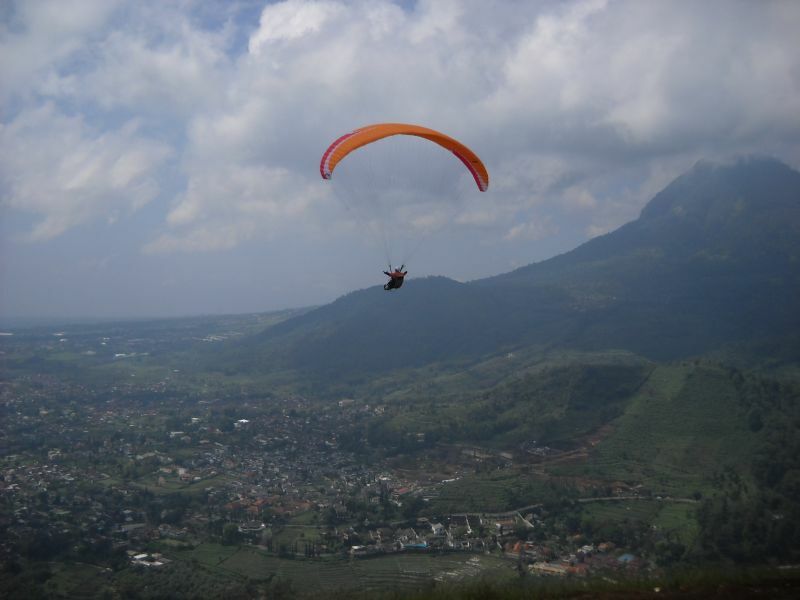 Mannaismaya Adventure's Blog – EXperience The Beauty of Indonesia ! Hi,… my name is Rama Yappy Kawitarka, call me Yappy …. I am an easy going person…. Do not like ceremonial…. And my hobby : Reading, Fishing, Hiking, Camping, Mount Trekking and Travelling. I used to travel drove my car from Jakarta West Java to Malang EastJava 900 Km for 8 years and to Bromo Mountain, Bali Island, Lombok Island…. 600 Km . The total 1500 Km.I am familiar with all the line of that journey…. So, I will Serve You The Best….I will bring you where ever as you wish : we can start from Jakarta to Bandung, Tangkuban Perahu Crater, Pangandaran Beach, etc (West Java), Borobudur Temple, Prambanan Temple, Keraton Sultan Jogyakarta etc (Central Java), The Famous Bromo Mountain, The Tree Houses of The Pines, Ijen Plateu, etc. (East Java), and of course Bali Island and Lombok Island. About 55,000 tourists visit Liechtenstein every year. This blog was viewed about 440,000 times in 2012. If it were Liechtenstein, it would take about 8 years for that many people to see it. Your blog had more visits than a small country in Europe! Want to join me fly high in the sky ????????? 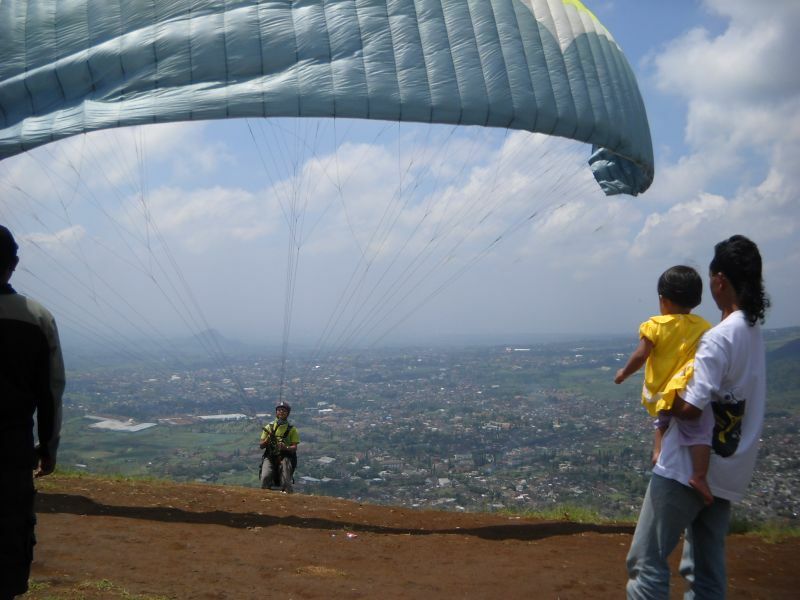 See some pictures below while I was preparing to fly…. 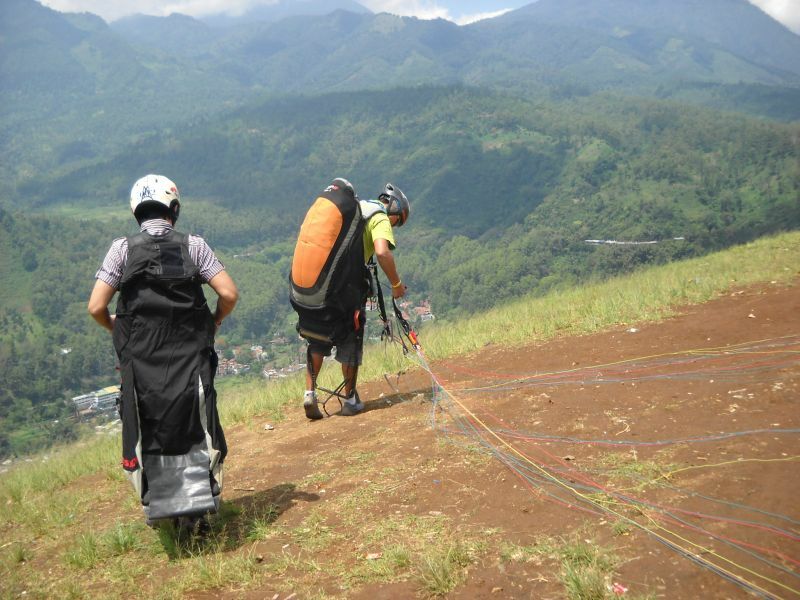 so exciting : Yappy was preparing to fly Johny The Third Rank Of World Championship of Paragliding prepare to fly, and Yappy on the rear Johny was flying and Ardi also the Third Rank of The World Paragliding Championship was watching. 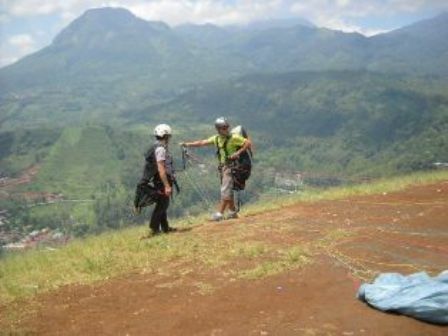 (above) Ardi my Pilot preparing for Tandem Paragliding (below) Ready to fly waiting the blowing of the wind and Yoshi Pasha on the left was watching : For you who loveunusual sport..adrenaline junkie..who wants to fly and soaring like an eagle..who wants to get the sensation of catching white-clouds..who wants to enjoy Batu’s landscape from different angle..who wants to have unique and stylish pictures..who wants to do tandem paragliding in Batu-East Java.., you may consider to call“Ayokitakemon! 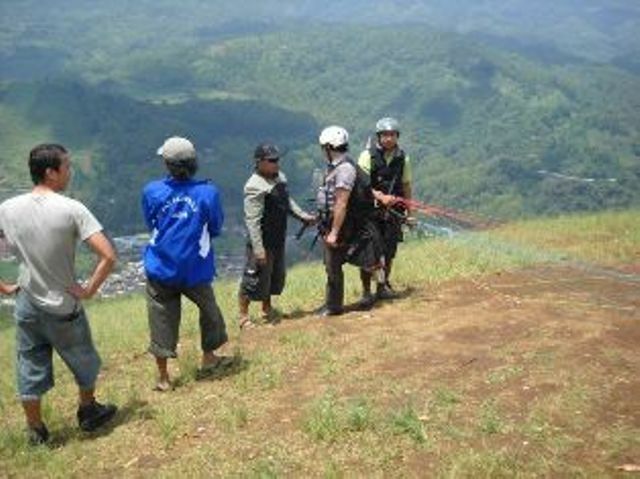 Outdoor-Activities”, the one and only provider that offering tandem packages among of their service Hi,…. My name is : G. Yudhi Setiawan Kawitarka, ….like Father like Son…. My father and I are an idealist person…have same hobby and also have same concern about The School Condition for Children in the villages and The Critical Area of The Forest. I like Travelling, Hiking, Trekking & also social activity. I Love Indonesia…It’s a beautiful country. We have a lot’s of beautiful sight seeing ,for example : Our Cultures, Tropical rain forrests, Deep blue sea & exotic animals. I wanna share my experiences to all the people with the same purpose. Is a good experience and challenge if you visit our country. We can learn & save our nature before it’s too late. 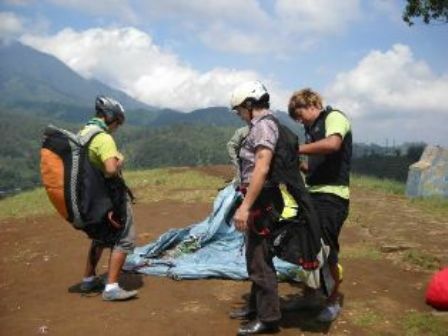 So… you don’t have to think about it, grab your bag & bring your belonging,…visit & come to Indonesia ! !>> We’ll be waiting for you & give you the best experience from our country. PEACE & SAVE THE FORRESTS ! Lion , King of the Jungle : TheLady & The Tiger So which one do you prefer ? 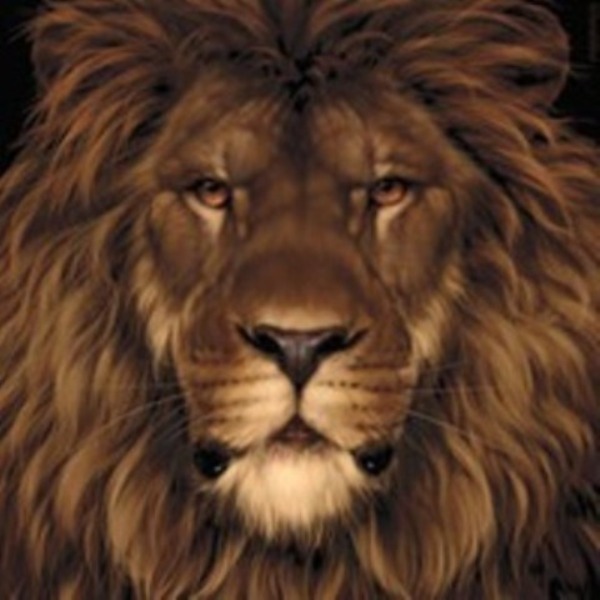 be a Lion or be a Tiger … ????? 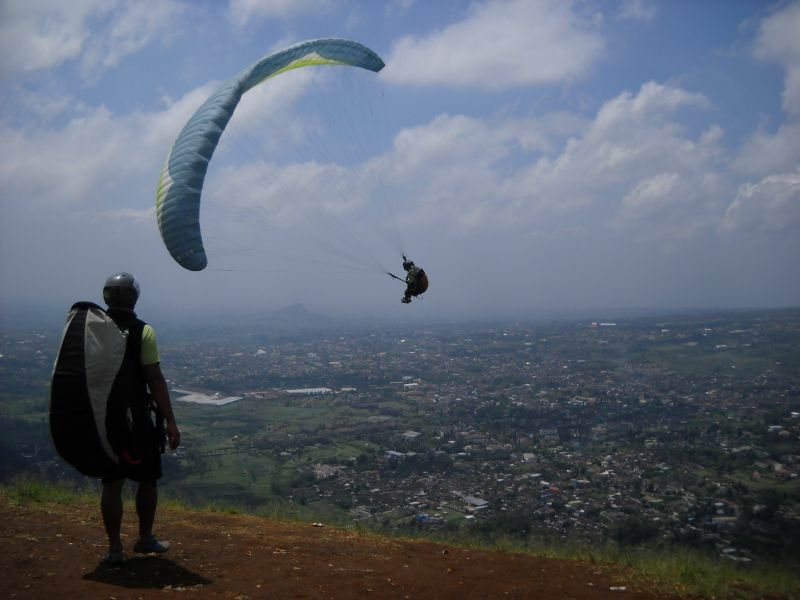 The world of adrenaline is waiting at Paragliding site of Mt. Banyak-Batu-East Java for you and your guests, Mr. Yappy. 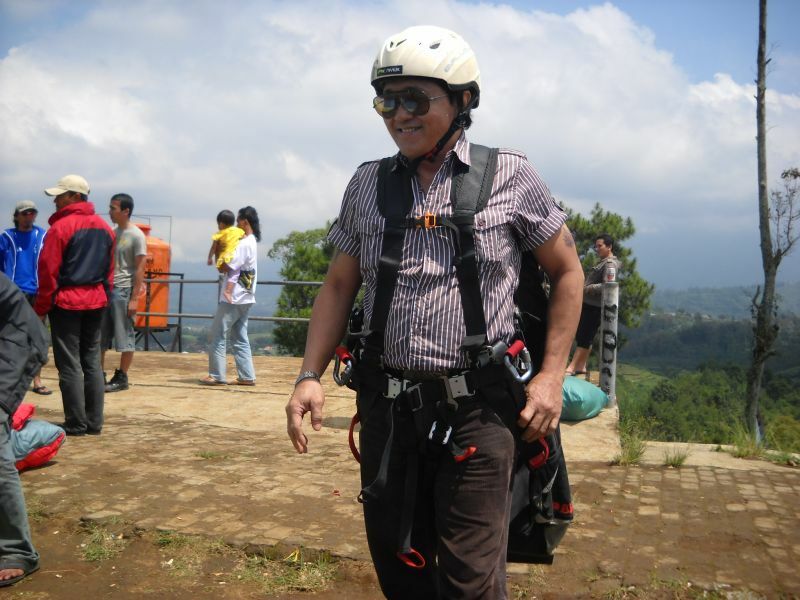 Safety first, adrenaline follows.. Thank you Mr. Joshie, hope next September 2 weeks after Lebaran I will see you there with at least 40 peoples and hope it will be the regular trip every month later…. and of course The War Games in the jungle as you provided beside Tandem Paragliding. Terima kasih mas Rudy…. dan terima kasih atas supportnya. Thanks for this good collection of comment forms. There are some great ideas for the next redesign. Thank you for another great article. Where else could anyone get that kind of information in such a perfect way of writing? I have a presentation next week, and I am on the look for such information. I try update information everyday, any suggestion what kind of information do you need ? Let me know, I do my best. Pretty beneficial post. I just stumbled upon your blog and wanted to say that I have very enjoyed reading your blog posts. Any way I’ll be subscribing to your feed and I hope you post once more soon. hi!This was a really superb post! Awesome article! thanks for the good read! This site is really a walk-through for all the facts you wanted about this and didn’t know who to ask. Look here, and you will really discover it. Outstanding read, I just tweeted the link to a buddy who was doing a little research on this. Thanks again. Thank you very much for your compliment;as a beginner its support me a lot. Still need your further correction and suggestion. You certainly deserve a round of applause for your post and more specifically, your blog in general. Very high quality material. Thank you very much for your compliment; as a beginner your compliment support me a lot. I just sent this post to a bunch of my friends as I agree with most of what you’re saying here and the way you’ve presented it is awesome. I find myself coming to your blog more and more often to the point where my visits are almost daily now! Thank you so much that you enjoy visit my blog; any suggestion what kind of Topic do you need ? I will do my best for you. When I stumble upon a great blog post I do one of three thing:1.Share it with the close friends.2.save it in all my popular social sharing sites.3.Be sure to come back to the website where I read the article.After reading this article I’m really concidering doing all of them. Thanks so much for this intelligent website;this is the words that keeps me awake through out the day. I have been searching around for your site after I heard about them from a buddy and was pleased when I was able to find it after searching for some time. Being a avid blogger, I’m cheerful to see others taking initivative and contributing to the community. I just wanted to comment to show my approval for your article as it’s very interesting, and many bloggers do not get credit they deserve. I am sure I’ll visit again and will spread the word to my friends. You are welcome and thanks for your compliment; its support me a lot. Pretty cool place you’ve got here. Thanks for it. I like such themes and everything that is connected to them. I definitely want to read a bit more soon. I am a travel guide from Morocco. I like your website. I am glad that you like my blog. I love the blog layout ! How did you make it. It’s really good. Hi, truly love the design associated with one’s site. Can you mind telling myself what theme you’re employing? I’m a new comer to this and So i am hoping to acquire my very own searching anywhere close to cool as the one you have. Thanks a lot. I don’t want you to think I’m a copy cat, but I really like the styleof your site. Could you let me know which theme are you using? Or was it tailor made? I wonder how you got so good. HaHa! This is really a fascinating blog, lots of stuff that I can get into. One thing I just want to say is that your design is so perfect! You certainly know how to get a girls attention! Im glad that youre here. I feel like Ive learned something new by being here. and always try make my visitors easy to get in. No problem at all, just let me know total person and the destination. Hi Dad, nice website. I just saw all the photos. Keren euy!!!!!!!!!!!! Thanks my dear lovely daughter…. miss you too. Thank you so much for your compliment; its support me a lot. Aw, this was a really great post. In theory I’d like to write like this also – taking time and real effort to make a good article… but what can I say… I procrastinate alot and never seem to get something done. You’re right, and you have to have strong will to finish something you started. Hello, may I use some of the content found in this entry if I link back to you? I found your blog on google. I think it’s pretty cool. Thank you so much for your comment. Hey, i think you visited my website so i came to “return the favour”.I am looking for ways to add things to my blog!I suppose its ok to use some of your ideas!! I think we should support each other as bloggers. Assisted me a lot, just what I was searching for : D.
Thank you; any special topic you need ? Hello, you site is very funny he told me to cheer up .. Merry Christmas. Thanks for sharing, I like this blog! I’ve seen progression in every post. Your newer posts are simply wonderful compared to your posts in the past. Keep up the good work! Please, keep up the awesome work and continue to post topics like this. I am really fan of your site! I am delighted that I noticed this website , exactly the right info that I was looking for! . Just keep making good stuff. Really nice design and style and superb written content , hardly anything else we require : D.
Hello, its fastidious paragraph concerning media print, we all understand media is a great source of information. Thanks, You were right indeed. This website is often a walk-through for all the info you wanted about this and didn’t know who to ask. Seem here, and you will definitely find it. Pretty very good post. I just stumbled upon your blog and wanted to say that I have very enjoyed reading your blog posts. Any way I am going to be subscribing to your feed and I hope you post again soon. Thanks for your comment, will always tray to add new post. Finally manged to read this post. I’ve attempted to log on for ages. Not sure if it was your hosting or my browser although pleased it worked eventually… love the site. Always enjoyed read every comment, no boring. Merely wanna input that you have a very decent internet site , I the style it really stands out. I just wanted to say, the content here at https://mannaismayaadventure.wordpress.com/ is simply exceptional. I’ll be reading more from you. I believe this internet site has got some very wonderful info for everyone : D.
Hey, I just found this article through Yahoo. I like the briefing cerified by the article. I’m going to subscribe to your feeds assuring to see again. I wish to thnkx for the time you have made in writing this blogpost. I’m hoping exactly the same best work of your stuff in the future as well. In fact your creative writing skill has inspired me to begin my own blog now. Truly the blogging is spreading its wings quickly. Your write up is a fine illustration of it. I will do as you wish, and please let me know if you’ve launched your Blog already. ~. * I am really thankful to this topic because it really gives great information ~:. Hi, sorry I do not know which article you meant, because you put your comment on “Home”. Anyway thanks visit my Blog. some really interesting information, well written and broadly speaking user friendly . Thank you so much for your compliment. Hope you will visit again. Regards for this post, I am a big big fan of this website would like to proceed updated. Thank you so much for your compliment, Its support me a lot. So happy that you like my Blog. Thanks for your comment; will inform you if need it. Bapak; saya dr Malaysia. Boleh bapak berikan harga untuk pakej ground (8 pax) 6D5N Surabaya tour. Jika berminat sila e mail saya. Thanks for your note, I just send the Itinerary directly to your email address. I just visited your website, I like it, nice site ! This is a smart blog. I mean it. I like to spend my free time by reading different web sites and today i came across your blog and I suppose that it is one of the best free resources available! Well done! Keep on this quality! Thanks a lot for your comment; its mean alot to me. Please inform your friend if I do not reply their comments, meaning its goes to Spam comment. the Spam protection provide by WordPress. I’m glad that I’ve found this mannaismayaadventure.wordpress.com blog. Big thanks for taking the time to discuss this, I feel strongly about info and I love to discover more on this. If possible, would you mind updating your blog with more information? It is highly helpful for me. Thank you very much visited my Blog. I am updating my blog in daily basic. I like this website very much, Its a very nice billet to read and incur information. Thank you very much and I hope you will visit again. Spot on with this write-up, I actually think this web site wants rather more consideration. I’ll in all probability be again to read much more, thanks for that info. Good day, you offer some invaluable information that others wouldn’t. Thanks your comment support me a lot. I would like to convey my affection for your kind-heartedness giving support to those individuals that really want help on in this study. Your special dedication to getting the message throughout appeared to be especially advantageous and has surely enabled ladies like me to achieve their aims. Your amazing warm and helpful guide means this much to me and especially to my colleagues. Regards; from everyone of us. I am so happy read your comment. I hope you all will give some suggestion in the future. thanks for your suggestion;will do in the future as you wish. I just Love this site. It’s not that often when I read an interesting article that is well written. cheers for the blogger on a great read. I read many articles on my break on a daily basis and this one was really interesting. I can’t wait for the next one. Thank you so much fro your comment, its support me a lot. I hope you will come again. They also have free xbox live codes gold and Microsoft Points! Superb blog! Do you have any tips for aspiring writers? I’m planning to start my own website soon but I’m a little lost on everything. Would you suggest starting with a free platform like WordPress or go for a paid option? There are so many choices out there that I’m completely overwhelmed .. Any recommendations? Appreciate it! Well, I used WordPress, beside free there are so many themes you could choose. And WordPress provide Akismet to protect your blog from spam. Saved your web blog. Thank you for giving. Definitely value enough time far from my personal tests. We extremely prefer that which you place in this article. Particularly informative as well as reasonable. A particular situation however. I’m operating Safari along with Debian as well as segments of the active style items really are a small wonky. We realise it’s not really a popular setup. Nevertheless it’s a specific thing in order to have in view. We trust it might assist as well as always keep in the main high quality composing. nice blog, i like the page where you talk about korean history and the last emperor! om yappy, still remember me? Of course I always remember you and others from Brawijaya. Om yappy, lama tidak ketemu..
hehe.. semoga sukses selalu travelling-nya yaa..
Wow mas Beton senang benar bisa ketemu lagi. Someday I will visit you at Jember. Sama2 Om, monggo mampir jember kalau ada event ke jatim..
Maaf kemarin gak sempat ngobrol lama, masih muter2 di denpasar, skrg lg muter2 di banyuwangi..
Ok mas Beton kalau ke Jatim saya pasti mampir ke Jember. Muter2 di Denpasar kemudian ke Banyuwangi lagi ngerjain apa? I am thankful that I noticed this website , precisely the right information that I was looking for! . you are in reality a excellent webmaster. The web site loading speed is amazing. It seems that you are doing any unique trick. Furthermore, The contents are masterpiece. you’ve done a excellent activity on this matter! Its mean a lot to me. Regards for this post, I am a big big fan of this website would like to keep updated. Thank you so much, I hope you will always visit my Blog. I have been exploring for a little bit for any high-quality articles or weblog posts on this kind of area . Exploring in Yahoo I eventually stumbled upon this site. Studying this info So i¡¦m satisfied to show that I’ve a very excellent uncanny feeling I discovered just what I needed. I so much indisputably will make sure to do not put out of your mind this site and give it a look on a constant. Thanks for your comment, means a lot to me. Thanks Khotib and best wishes for you. I’m curious to find out what blog system you’re using? I’m experiencing some minor security issues with my latest blog and I’d like to find something more safe. Do you have any solutions? You will get protection of Spam by AKISMET and also hundreds of Theme that could be choosen; all for free. this internet site is my inspiration , really fantastic layout and perfect written content . Thank you very much, your comment means special to me. One thing I would like to reply to is that weight loss program fast is possible by the suitable diet and exercise. A person’s size not simply affects appearance, but also the general quality of life. Self-esteem, depressive disorders, health risks, along with physical abilities are disturbed in an increase in weight. It is possible to do everything right but still gain. Should this happen, a medical problem may be the primary cause. While an excessive amount food and not enough work out are usually accountable, common medical ailments and key prescriptions can easily greatly amplify size. Many thanks for your post here. You were right and lucky for me have no problem with the weight. This is really attention-grabbing, You are an overly skilled blogger. I’ve joined your rss feed and look forward to in the hunt for extra of your magnificent post. Also, I’ve shared your site in my social networks! Thank you so much for your comment, its support me a lot. I’ll immediately clutch your rss feed as I can not in finding your e-mail subscription hyperlink or e-newsletter service. Do you’ve any? Please allow me recognize so that I may subscribe. Thanks. Here is my email address y4ppy@yahoo.com. Its shown also on “contact “and “Home” on my Blog. Pretty nice post. I just stumbled upon your blog and wished to say that I have truly enjoyed browsing your blog posts. In any case I’ll be subscribing to your rss feed and I hope you write again soon! I am so happy that you like my Blog. Thanks a lot for sharing this with all people you actually know what you’re talking approximately! Bookmarked. Kindly also visit my website =). We can have a hyperlink change agreement between us! You are welcome and thanks for your comment. I did visit your site, nice site and I will visit yours regularly. whoah this blog is magnificent i love reading your articles. Keep up the good work! You know, a lot of people are hunting around for this information, you could aid them greatly. Thank you so much; your compliment support me a lot. I will immediately grasp your rss feed as I can’t to find your email subscription hyperlink or newsletter service. Do you’ve any? Kindly let me realize so that I may just subscribe. Thanks. Below every post you will find it. It is really a great and useful piece of info. I am satisfied that you shared this helpful information with us. Please keep us informed like this. Thanks for sharing. You are welcome and thank you so much that you like my blog. Much appreciated. That is very attention-grabbing, You’re an overly skilled blogger. I’ve joined your feed and look forward to looking for more of your great post. Also, I have shared your website in my social networks! I am so happy that you like my Blog, thank you so much. You are welcome; your comment on “Home” so I do not know which topic/article you meant. What I have observed in terms of computer system memory is the fact that there are specific features such as SDRAM, DDR and so on, that must fit the specifications of the mother board. If the pc’s motherboard is very current while there are no operating-system issues, improving the memory literally normally requires under a couple of hours. It’s one of many easiest computer system upgrade methods one can picture. Thanks for sharing your ideas. Wow! This can be one particular of the most useful blogs We have ever arrive across on this subject. Basically Great. I’m also a specialist in this topic so I can understand your hard work. Thank you so much; your comment support me so much. A person essentially assist to make significantly articles I would state. That is the first time I frequented your website page and to this point? I surprised with the analysis you made to make this actual submit amazing. Great task! I like the helpful info you supply to your articles. I’ll bookmark your blog and take a look at again here frequently. I am reasonably sure I will be informed many new stuff right right here! Best of luck for the next! Thanks that you like my Blog. 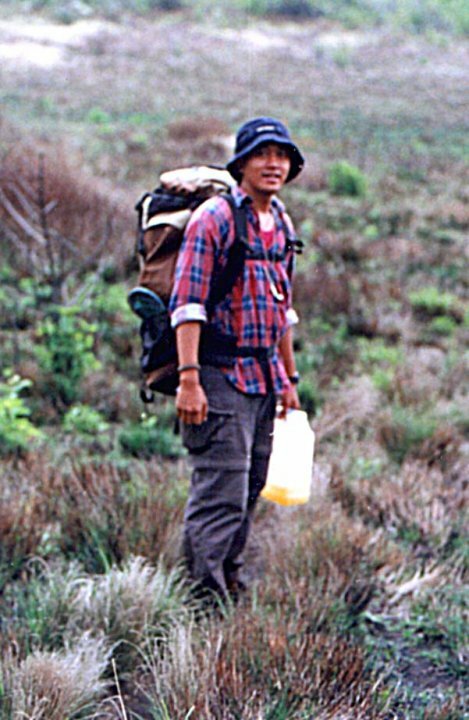 Nama saya Paulus Santosa, saya tinggal di Adelaide South Australia. Saya senang dengan blog anda yang sangat informatif. Topik dari posting anda sesuai dengan minat saya. Saya hargai posting anda yang disusun berdasarkan riset internet yg cukup komprehensif. Bagaimana kalau diisi dengan video yg relevant? Mungkin akan lebih bagus lagi. Hi Palulus Santosa, saya senang membaca komentar anda, Highly Appreciated. Pinginnya sih diisi juga dengan Video tapi saya kadang sulit untuk upload ke Blog saya( jangan cerita siapa2 ya hehehe, malu …) tapi bener koq saya membuat Blog belajar langsung dari Internet, saya bukan pakar IT. Hanya kebetulan saja saya sangat menyukai Sejarah, Science, Archaeology, Antrophology, Universe, Geology, jadi itulah kebanyakan topic di Blog saya. Kalau anda memiliki Articles yang menarik kirim aja, nanti saya publish namun jangan berupa cerita saja, kalau bisa diisi dengan Images, seperti Komik jadi orang suka membacanya. Sebuat gambar lebih bermakna dari 1000 kata. Ok senang berkenalan dengan anda. Wish you always the best. You are welcome, and I hope you will visit again. I’m impressed, I have to say. Actually not often do I encounter a blog that’s both educative and entertaining, and let me inform you, you will have hit the nail on the head. Your idea is outstanding; the problem is something that not enough people are talking intelligently about. I am very glad that I stumbled throughout this in my seek for something referring to this. I used Theme Black – Letter Head By Ulysses Ronquillo provided by WordPress.com cheers !!! Thank you so much, already 2 years I am Blogging. Best Regards. Thank you so much for your comment, support me a lot. Thanks a lot, your comment means special to me. Helped me a lot, just what I was searching for : D. thanks to the author for taking his time on this one. very interesting subject, outstanding post. Thanks for all your efforts that you have put in this. nice blog my super daddy 🙂 good luck and always post something new and unique. of the comparison of most up-to-date and earlier technologies, it’s awesome article. Thank you so much, your comment highly appreciated and support me alot. Best Regards. It’s an awesome piece of writing in favor of all the online visitors; they will take advantage from it I am sure. I hope so, anyway thank you so much, your comment means special to me. Thank you very much, your comment highly appreciated. I hope some day you will visit my beautiful Indonesia, and I will be your host for sure. Cheers !!! In 1 woord is de ICT opleiding op ID college gouda gewoon “slecht” zoals eerder vermeld is er totaal geen begeleiding en moet je alles zelf maar ondervinden. geen ervaring wat betreft ict. fact pleasant funny material too. I really like it whenever people get together and share thoughts. Great website, continue the good work! various websites for about a year and am worried about switching to another platform. I have heard good things about blogengine.net. Better you ask directly to WordPress. Thank you, your comment mean special to me. I just like the helpful info you provide to your articles. moderately certain I will be told many new stuff right here! Nice read your comment, higly appreciated. Thank you and best regards. opening in Internet Explorer, it has some overlapping. Thanks for your note, higly appreciated. and I’m looking forward to touch you. Will you please drop me a e-mail? can definitely work. Still, the posts are too quick for beginners. Thanks for your suggestion, will do in the future, cheers ! the web I found this website as a most excellent site for hottest updates. Thank you for your comment, highly apprciated. Hey there! I know this is kinda off topic nevertheless I’d figured I’d ask. benefit from each other. If you might be interested feel free to shoot me an email. Thank you, and no problem at all, just inform me which Site wabt to be linked. I just like the valuable info you supply in your articles. regularly. I’m quite certain I’ll be informed lots of new stuff proper right here! Thank you so much, happy to know that you like my Blog. Best Regards. community will be grateful to you. Thank you so much, happy to know that my Blog worth to you, highly appreciated. Hello! I know this is kinda off topic however I’d figured I’d ask. from each other. If you might be interested feel free to shoot me an email. great put up, very informative. I’m wondering why the other experts of this sector don’t notice this. You should continue your writing. I am sure, you’ve a huge readers’ base already! Thanks for your personal marvelous posting! I quite enjoyed reading it, you will be a great author. I will ensure that I bookmark your blog and will come back later in life. I want to encourage continue your great work, have a nice afternoon! Thank you so much for your comment, highly appreciated and support me a lot.Best Regards. this sector do not realize this. You should continue your writing. I’m sure, you’ve a great readers’ base already! post! It is the little changes which will make the greatest changes. Thank you so much, happy to know my blog useful for you, cheers. I feel that is one of the most important info for me. Thank you so much, your comment means special to me and highly appreciated.Cheers. if you have to manually code with HTML. I’m starting a blog soon but have no coding skills so I wanted to get advice from someone with experience. Any help would be greatly appreciated! I think the basic is the will, I run my Blog already three years and started with zero knowledge about internet. Howdy very cool website!! Guy .. Beautiful .. Superb .
. I will bookmark your web site and take the feeds additionally? I’m happy to seek out numerous helpful info here within the put up, we need work out more strategies on this regard, thank you for sharing. . . . . . Thanks, your comment means special to me, and really support me. Best Regards. It’s really a nice and useful piece of info. I am satisfied that you just shared this useful information with us. Please stay us informed like this. Thank you for sharing. You are welcome, your comment support me a lot thanks. I do believe all the concepts you’ve presented in your post. They are really convincing and will definitely work. Nonetheless, the posts are too short for beginners. Could you please extend them a little from subsequent time? Thanks for the post. Thanks, which post do you mean? Touche. Outstanding arguments. Keep up the good work. of writing? I’ve a presentation next week, and I am at the look for such info. Happy to know that this Blog worth to you. Best Regards. e-mail and could look out for much more of your respective intriguing content. Thanks for your advise, highly appreciated. mind that how a user can understand it. Thus that’s why this article is perfect. Thanks! Thanks too, your comment highly appreciated. It’s awesome to pay a quick visit this web page and reading the views of all friends about this article, while I am also eager of getting know-how. clear idea about from this article. When someone writes an article he/she maintains the image of a user in his/her brain that how a user can know it. Thanks for the auspicious writeup. It actually was a enjoyment account it. Glance complex to more added agreeable from you! Hey There. I discovered your blog using msn. your helpful info. Thank you for the post. I will certainly return. Thanks, hoped you will come regularly on my Blog. These are genuinely fantastic ideas in about blogging. You actually make it seem so easy with your presentation but I find this topic to be really something that I think I would never understand. wanted to say that I have truly enjoyed surfing around your blog posts. What’s up to every one, for the reason that I am really keen of reading this webpage’s post to be updated regularly. am as well glad to share my experience here with colleagues. My name’s Christian from Byrrill Creek, Australia and I just wanted to tell you your article is quite thoughtful. The clarity of your post is very good and I can reckon you are an pro on this subject. With your authorization, would you permit me to grab your RSS feed to keep updated with forthcoming articles? Thanks a million and please keep up the nice work. Please do by all means, no problem at all, Best Regards. running a blog afterward i propose him/her to pay a quick visit this webpage, Keep up the fastidious job. Thanks, your comment means special to me. I’ve really loved surfing around your weblog posts. After all I’ll be subscribing in your feed and I am hoping you write once more soon! Thank you so much, your comment support me a lot. Simply wish to say your article is as astounding. to date with imminent post. Thank you a million and please keep up the rewarding work. Thanks, your comment highly appreciated. Heya i’m for the primary time here. I came across this board and I to find It truly helpful & it helped me out much. I am hoping to present something again and help others such as you helped me. fact enjoyed account your blog posts. Anyway I’ll be subscribing on your feeds or even I achievement you access constantly quickly. Thank you so much for your comment, Best Regards. Unquestionably believe that which you said. Your favorite justification appeared to be on the net the easiest thing to be aware of. I’ve been exploring for a little bit for any high quality articles or weblog posts in this sort of space . Exploring in Yahoo I eventually stumbled upon this site. Reading this info So i’m happy to show that I’ve an incredibly excellent uncanny feeling I discovered exactly what I needed. I such a lot indubitably will make sure to do not overlook this website and provides it a look on a constant basis. all that over again. Anyways, just wanted to say great blog! hehehehe…. thanks anyway for your comment, I do appreciated. you. Could you list all of all your public sites like your Facebook page, twitter feed, or linkedin profile? Thank you for your comment, support me a lot. Until to day I received 2015 good comments like yours, and all highly appreciated. Pretty! This was a really wonderful article. Many thanks for providing this info. Thank you so much for your commengt. great points altogether, you simply gained a new reader. What may you recommend about your publish that you just made some days in the past? Thanks and happy to knows that my Blog means something to you. read it afterward my friends will too. Thanks for your suppoort, highly appreciated. Thanks for your support, highly appreciated. once and for all info I’ve been that means to publish something similar to this in my web site and you have offered me a concept. I like the valuable info you provide to your articles. regularly. I am reasonably certain I’ll learn a lot of new stuff right right here! Best of luck for the next! Thank you, happy to know my blog worth to you, cheers! I’d be very grateful if you could elaborate a little bit further. Appreciate it! I do trust all the ideas you have offered for your post. They’re really convincing and will certainly work. Still, the posts are very quick for newbies. May just you please prolong them a little from subsequent time? Thank you for the post. Thanks and will do as you wish. significant infos. I would like to see more posts like this . article on building up new web site. Thank you for your comment, highly appreciated. A person necessarily assist to make seriously posts I might state. I amazed with the analysis you made to create this particular post amazing. Thank you, nice read your comment. Normally I don’t read article on blogs, but I would like to say that this write-up very compelled me to check out and do so! Your writing style has been amazed me. Thanks, very nice post. You are welcome, happy read your comment. It’s hard to find experienced people in this particular subject, but you seem like you know what you’re talking about! You are welcome, Happy read your support comment. Thanks, happy read your comment, highly appreciated. this accident didn’t happened earlier! I bookmarked it. Thanks, happy read your comment. are lots of more enjoyable periods in the future for people who looked over your blog. Nice read your comment, thank you. Hello! I’ve been reading your site for a while now and finally got the courage to go ahead and give you a shout out from Lubbock Texas! Just wanted to tell you keep up the excellent job! 😉 I may revisit yet again since I book marked it. Thanks, happy read your support comment. that truly how to do blogging and site-building. Woah! I’m really enjoying the template/theme of this blog. It’s simple, yet effective. a excellent job with this. Also, the blog loads extremely fast for me on Opera. Nice read your support comment, thank you so much. Thanks, your supprt comment means special to me. A fascinating discussion is definitely worth comment. There’s no doubt that that you should write more about this topic, it might not be a taboo subject but usually folks don’t talk about these issues. To the next! Many thanks!! You are welcome; happy read your support comment, highly appreciated. I always used to read article in news papers but now as I am a user of internet so from now I am using net for posts, thanks to web. bit, but instead of that, this is excellent blog. An excellent read. Thank you so much,happy read your support comment. wonderful points altogether, you simply received a new reader. What may you suggest about your publish that you just made a few days ago? With havin so much content and articles do you ever run into any problems of plagorism or copyright infringement? My blog has a lot of unique content I’ve either created myself or outsourced but it seems a lot of it is popping it up all over the web without my permission. Do you know any solutions to help protect against content from being stolen? I’d really appreciate it. I got the articles from internet and also sent by so much resources all free, and I do willing to share to all my visitors and I really am do not care if they want to dawnload. I run my Blog with sincerelyness to share, so I am sorry I couldnot help your problem. Happy read your support comment. It’s really a nice and helpful piece of info. I am satisfied that you simply shared this helpful info with us. Please keep us up to date like this. Thanks for sharing. I like what you guys tend to be up too. This type of clever work and coverage! Keep up the superb works guys I’ve included you guys to blogroll. Thanks, your support comment means a lot to me. It is the little changes that produce the greatest changes. done an impressive activity and our entire group will be thankful to you. entertainment account it. Look advanced to far brought agreeable from you! You could send me an email y4ppy@yahoo.com, cheers ! Greetings from California! I’m bored to death at work so I decided to check out your blog on my iphone during lunch break. I love the knowledge you provide here and can’t wait to take a look when I get home. I’m surprised at how fast your blog loaded on my phone .. I’m not even using WIFI, just 3G . to say, and more than that, how you presented it. Your support comment make me happy, thanks. Thanks for your support comment. is a great source of information. Hi, this weekend is good for me, for the reason that this occasion i am reading this wonderful informative post here at my home. Thanks, I hope you visit more and more, cheers!! Oh my goodness! Amazing article dude! Thanks, However I am going through problems with your RSS. I don’t know the reason why I am unable to subscribe to it. Is there anybody else having similar RSS issues? Anyone that knows the solution can you kindly respond? Thanks!! I don’t know why, and I couldnot give you a solution. Maybe better you click Follow Blog Via Email above th Flag counter on the right side of my Blog. Greetings, I do think your web site might be having internet browser compatibility issues. it has some overlapping issues. I simply wanted to give you a quick heads up! Other than that, wonderful website! Thanks for your info, highly appreciated. Thanks, happy to know that my Blog worthy. web site and be updated with the most up-to-date gossip posted here. truly fastidious and the viewers are truly sharing pleasant thoughts. Hi, thanks for your support comment, cheers !! I will be waiting for your further write ups thanks once again. our community. Your site provided us with valuable info to work on. Thanks, happy to know my Blog worth to you, Cheers !! through the 12 months to help enhance team overall performance. opportunity, Guess I will just bookmark this web site. Thanks, your support dcomment means special to me. I used to be suggested this blog by means of my cousin. I’m not positive whether or not this submit is written by way of him as no one else recognize such specified approximately my difficulty. You’re wonderful! Thank you! I do trust all of the concepts you have introduced in your post. They’re very convincing and will certainly work. Still, the posts are very short for beginners. Could you please prolong them a bit from next time? Thanks for the post. Thanks, highly appreciated your comment. Excellent post! We are linking to this particularly great post on our site. Keep up the great writing. have time I will be back to read a lot more, Please do keep up the excellent jo. Thanks, happy read your support comment, highly appreciated. I read this paragraph fully regarding the difference of most up-to-date and earlier technologies, it’s remarkable article. I’m not sure where you’re getting your info, but good topic. Thanks, happy to know my Blog worth for you. I do think that you should write more on this subject, it might not be a taboo subject but generally folks don’t speak about these topics. Hello all, here every person is sharing such experience, so it’s good to read this weblog, and I used to visit this website daily. Thanks that you like my Blog, Cheers !!! Thaks, happy read your support comment. We’re a bunch of volunteers and opening a brand new scheme in our community. and our whole group will likely be grateful to you. Thank you so much for your comment, highly appreciated. I absolutely love your blog and find many of your post’s to be what precisely I’m looking for. information for me. And i am glad reading your article. Thanks, hapyy read your support comment. Fabulous, what a webpage it is! This webpage presents helpful facts to us, keep it up. really fastidious article on building up new webpage. It’s awesome to visit this site and reading the views of all mates concerning this paragraph, while I am also keen of getting experience. all colleagues regarding this paragraph, while I am also zealous of getting familiarity. Thanks for your support comment, much appreciated. loads. I am hoping to contribute & assist other customers like its aided me. I have a confident synthetic attention just for details and may anticipate issues before they occur. It’s an awesome paragraph in support of all the online users; they will get benefit from it I am sure. attention. When may I garner more information? Way cool! Some extremjely valid points! I appreciate you penning this aticle plus the rest of the website iis also very good. Thanks for your comment, much appreciated. see more, thanks for the info! Hi there! Someone in my Myspace group shared this site with us so I came to look it over. I’m definitely enjoying the information. I’m bookmarking and will be tweeting this to my followers! Wonderful blog and outstanding design and style. Fantastic web site. Lots of helpful information here. I am sending it to a few pals ans additionally sharing in delicious. And of course, thanks to your sweat! You actually reported this very well! Nice post. I was checking continuously this blog and I’m inspired! lot. I used to be seeking this particular information for a very lengthy time. Thanks a lot. Quite a lot of data. of clever work and reporting! Keep up the fantastic works guys I’ve incorporated you guys to blogroll. Awesome issues here. I am very glad to look your post. Thank you so much and I am looking ahead to contact you. Wow lots of good facts! great submit, very informative. I’m wondering why the opposite experts of this sector don’t understand this. unique trick. Moreover, The contents are masterwork. you have done a great process on this matter! once in a while that isn’t the same out of date rehashed information. Thanks for your support comment, highly appreciated. I have to thank you for the efforts you’ve put in penning this site. Awesome write ups, Thank you! You were right indeed, thanks for your comment. this place, I am really enjoying by these. Awesome! Its really amazing article, I have got much clear idea on the topic of from this post. as well check things out. I like what I see so now i am following you. Great blog, keep it up! Amazing issues here. I am very happy to see your article. you kindly drop me a e-mail? I needed to thank you for this excellent read!! I definitely loved every little bit of it. between user friendliness and visual appearance. I must say you have done a very good job with this. Also, the blog loads very fast for me on Chrome. you will absolutely obtain pleasant know-how.